Well, it’s farther into the summer than I wanted it to be for a finished quilt, but I finally got this quilt done. I’m calling it the garden girl quilt because it’s bursting with whimsical butterflies, pretty flowers, and even a little bee or two. 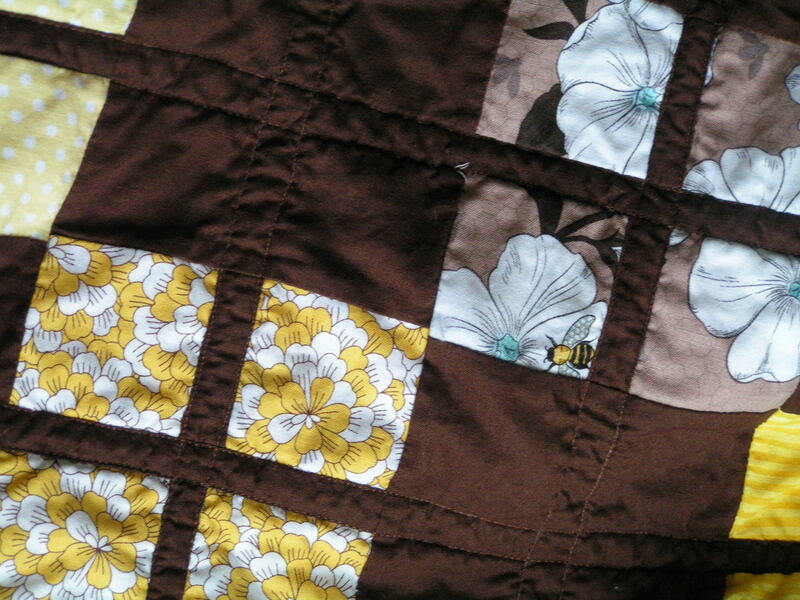 There’s a close up of one of the bees, and I think the yellow fabric on the left is one of my favorite fabrics on the quilt. 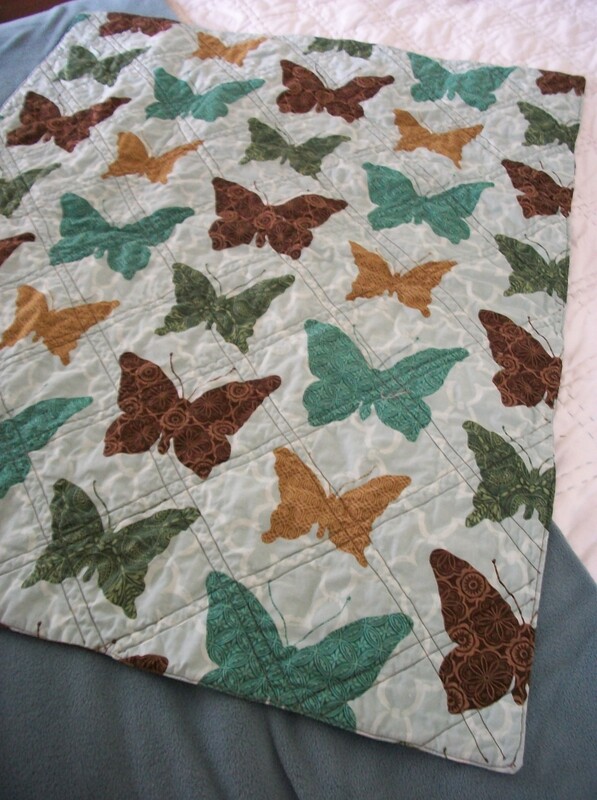 And the back of the quilt is filled with lovely butterflies that are fluttering beneath a light lattice of quilting. The pattern credit for this quilt goes to Piper’s Girls. This is their Daisy Baby pattern that is a free download at Craftsy. This is the first quilt I’ve ever made that is set on point, so I had a few mix-ups that required some seam ripping. But, that was my crazy brain not the pattern’s fault. The pattern itself came together quite easily. And, guess what? This is my first quilt to go up for sale. Yes, it’s official I have an Etsy shop. Well, I have one item listed on Etsy, but I have four more projects actively being sewn to assorted stages of completion and a few more that are at least partially cut and ready to piece. If you want to go check out my Etsy shop, Soft Light and Stories, you’re invited. I’ll be talking a little more about it in upcoming posts. I love the butterfly print backing. Cute quilt! Congrats on the finish and the shop!!! That’s awesome. And, love that yellow fabric too!! Great finish!!! I love the chocolate brown color! The entire piece is something special! Very cute little quilt. 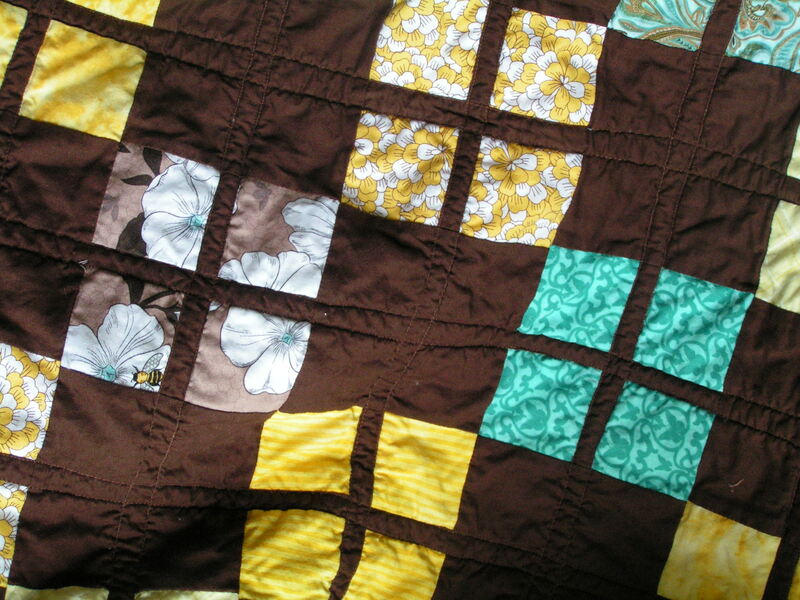 Love how you quilted it! Thanks! 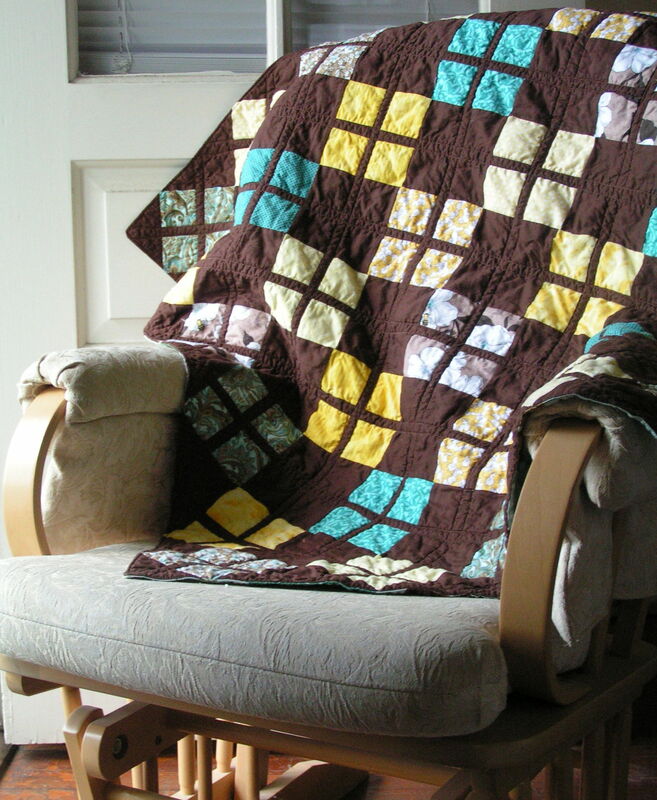 Having a built-in quilting pattern to follow was one of the huge benefits of this pattern. It gave my brain a rest after the (sometimes) confusion of piecing the blocks on point.